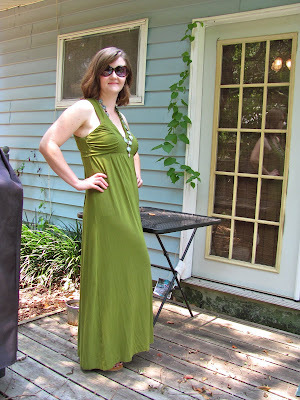 Finally, I succeeded at making something for the Summer Essentials Sew-Along! 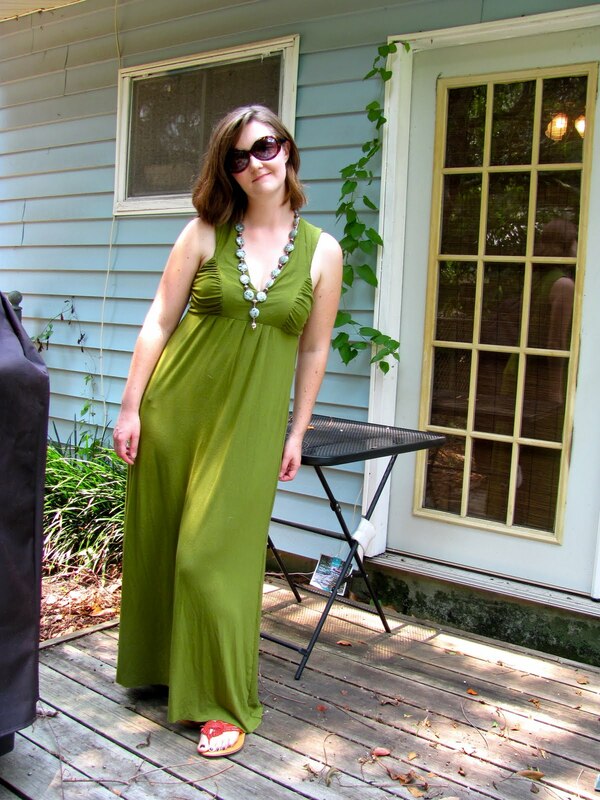 After a major sundress FAIL (aka: stripes that look like cartoon prison wear) I decided on a knit maxi dress. And that's all folks! Check out the Summer Essentials Sew-Along! Some very cool clothes are going on... on the flickr site! I encountered the same problem with mine. My measurements would have me at a 16 but I think I can get away with a ten in the bust and a 12 in the hip. You dress is a gorgeous color. Found you through the Flickr group-- even if the sizing is a bit off, it looks lovely in the photo! And oh so comfortable.